Transportation Secretary Ray LaHood recently announced a new initiative designed to crack down on distracted driving and to encourage states to enact stronger laws against distracted driving. 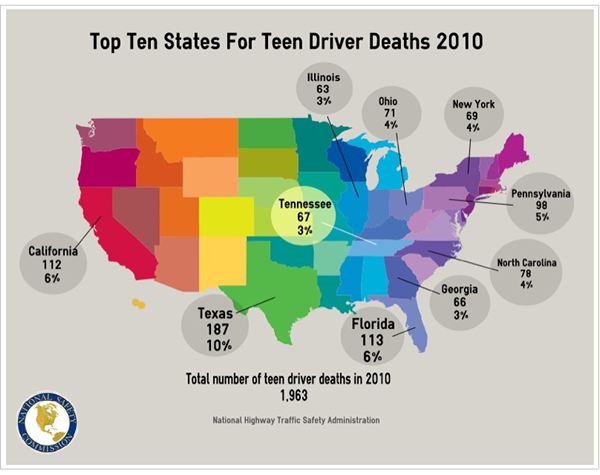 Encourages the remaining 11 states without distracted driving laws to enact and enforce this critical legislation. Challenges the auto industry to adopt new and future guidelines for technology to reduce the potential for distraction on devices built or brought into vehicles. Partners with driver education professionals to incorporate new curriculum materials to educate novice drivers of driver distraction and its consequences. Data from the National Highway Traffic Safety Administration (NHTSA) show drivers under the age of 25 are two to three times more likely than older drivers to send text messages or emails while driving. Provides all stakeholders with actions they can take that go beyond personal responsibility to helping end distracted driving nationwide. Based on the success of the "Click It or Ticket" campaigns, the Secretary announced that California and Delaware have been selected to receive federal support for pilot projects that will that will expand the Department's "Phone in One Hand, Ticket in the Other" program and test the effect of increased law enforcement and high-profile public education campaigns on distracted driving. The DOT announcement coincides with the release of the Center for Disease Control’s (CDC) 2011 National Youth Risk Behavior Survey (YRBS) that showed, while in some areas, teen drivers are becoming safer but when it comes to communication technology, teens are still taking far too many risks. The survey showed that, nationwide, one out of three students had texted or e-mailed while driving a car or other vehicle on at least 1 day during the 30 days before the survey. The figures are even worse for older teens with 42.9% of 11th-graders and 58% of 12th-graders having sent an email or text while driving in the 30 days prior to the study.